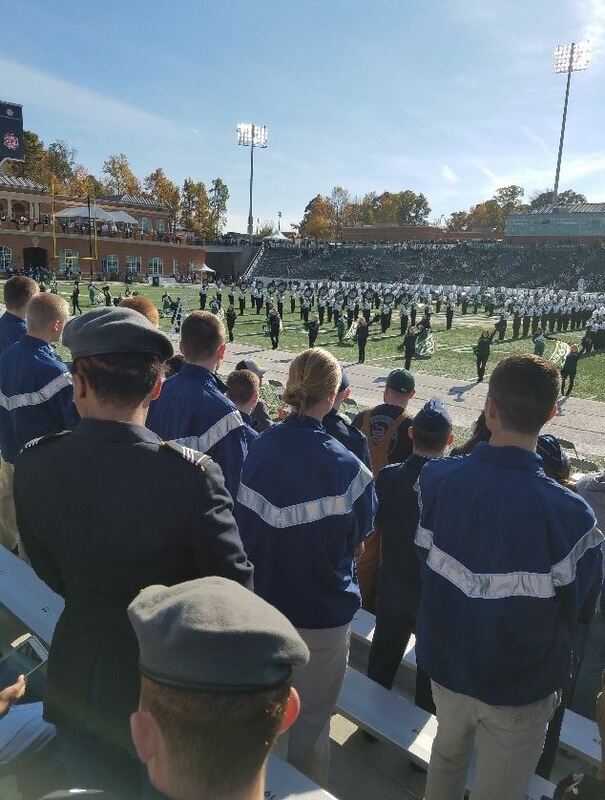 11/12/2017–CHARLOTTE, NC–On 11 Nov 2017, the Composite Squadron of the Waxhaws (NC-300) took a group of Civil Air Patrol cadets to the University of North Carolina at Charlotte (UNCC) JROTC Day. One cadet, C/CMSgt Carter Maner, attended from the 111th Search and Rescue Squadron, while the rest of the group was made up of Waxhaw squadron members. At the event, the cadets learned what college life is like for the ROTC cadets and met other ROTC and JROTC members from around the area. They then broke into groups, as there were over 100 cadets in attendance, and took a tour of the UNCC campus. After returning from the tour, the cadets were treated to a tailgating party complete with hamburgers and hotdogs and plenty of social time. The group then marched to the stadium and enjoyed the Charlotte 49ers football game.